English Edition. 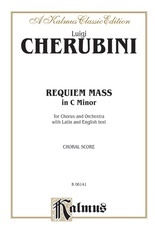 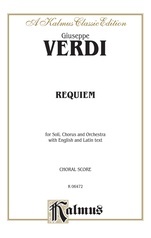 This 96 page choral score is taken from a previous Belwin Mills publication. 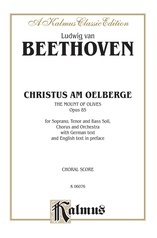 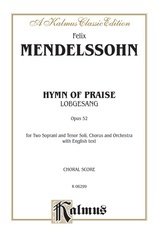 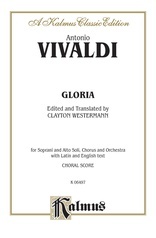 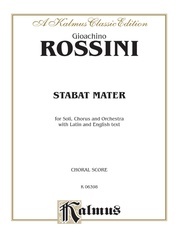 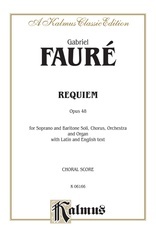 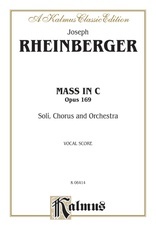 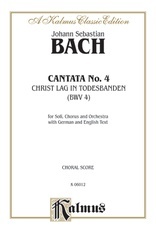 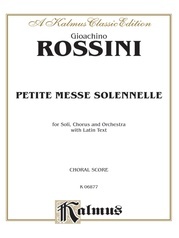 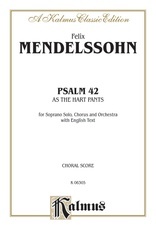 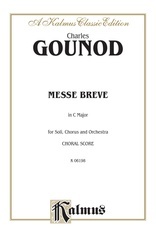 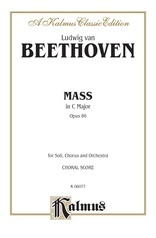 It provides the choir and soloist parts along with a piano reduction of the orchestral parts, with notations, instrument cues, and vocal text in English language. 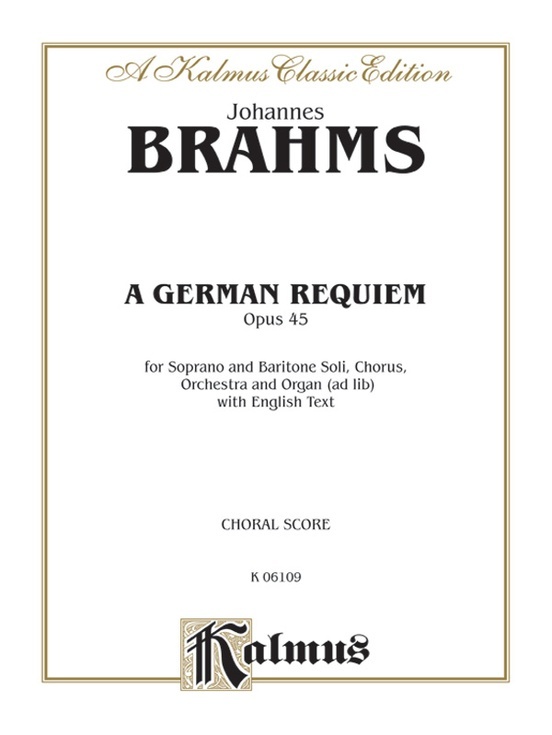 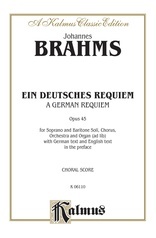 This was to be Brahms' longest work, in 7 movements, and was based on sacred biblical text, originally written in the German language, and therefore did not follow the traditional Latin requiem text. 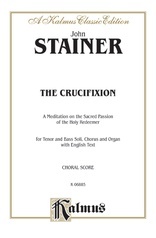 Includes: Blessed are they that mourn * Behold, all flesh is as the grass * Lord, make me to know the measure of my days on earth * How lovely is thy dwelling place * Ye are now sorrowful * Here on earth we have no continuing place * Blessed are the dead.